Opaline glass, lacquered aluminium, brass. 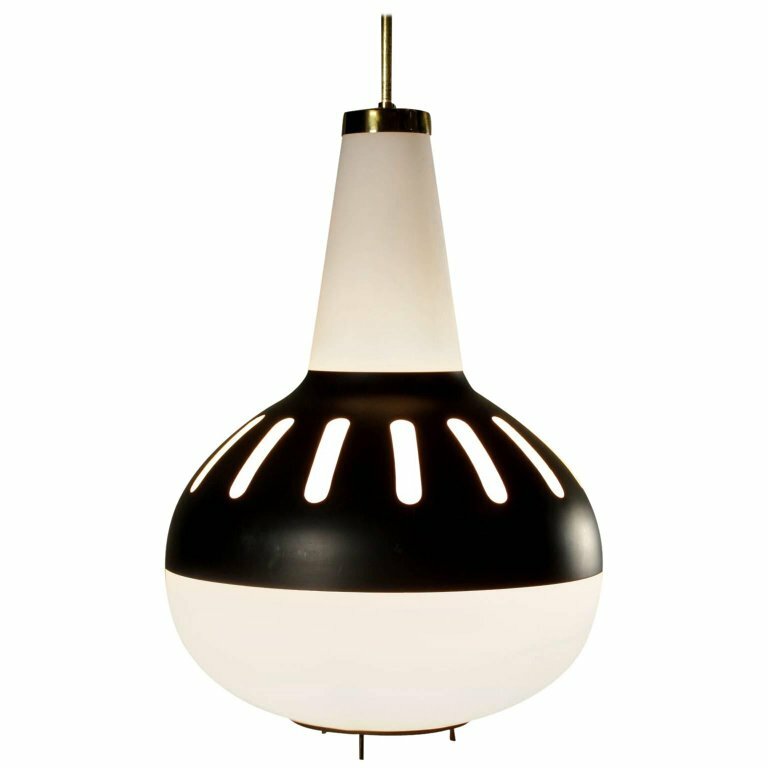 A ceiling lamp attributed to Max Ingrand, opaline glass, lacquered aluminium, brass. Manufactured in Italy, 1960s.